Whether you are going all out to the nines on elegant night, looking to make a connection with a new lady friend or just want to not be embarressed as background humor in the selfies of others, most guys will do their best to look their best while cruising. But the thing about cruising is that for the vast majority of your time on board a boat like the Carnival Sunshine, you’re, you know, actually cruising. 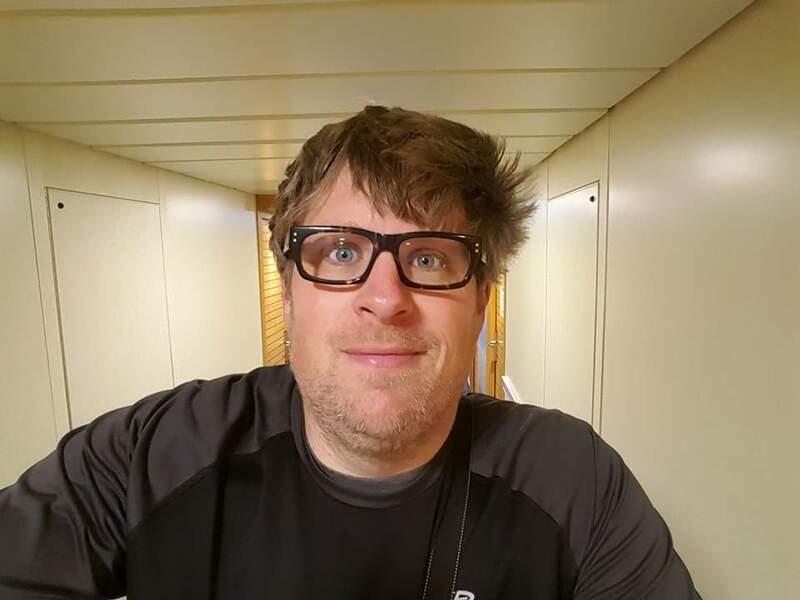 Moving at a pretty good clip on the high seas can be harrowing on one’s head of hair so looking your best is a relative concept. 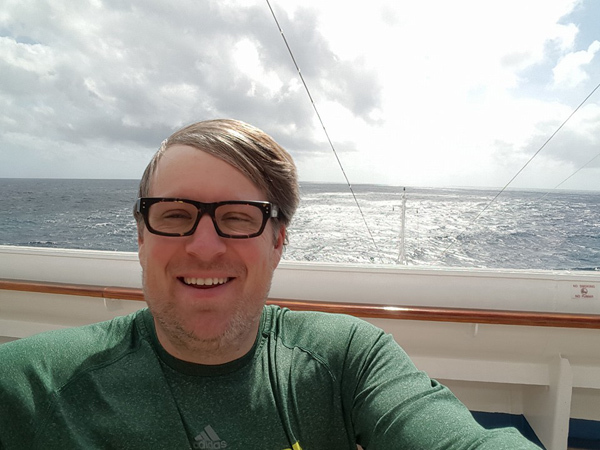 Here are my many hairstyles while cruising aboard the Carnival Sunshine to the Southern Caribbean islands of Aruba, Bonaire and Grand Turk. We may have been docked but the wind wasn’t. 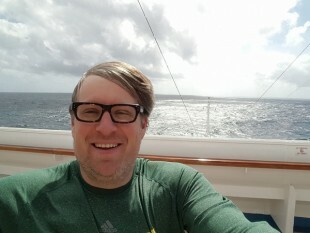 Here’s my handsome windblown style at port in Grand Turk on board the 6th deck front of the Carnival Sunshine. 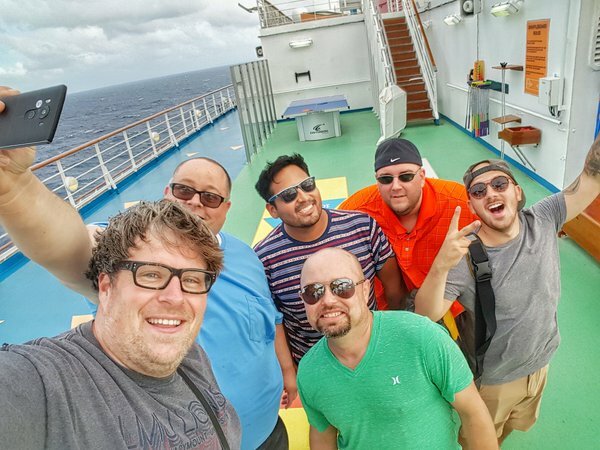 The talented (although not at high-winds shuffleboard) men of Men Who Blog capturing a moment on board the Carnival Sunshine. While I actually really like my hair here, it is probably a little too ‘Rico Suave’ for everyday stylin’. Here I am having just come in from the front of deck 6. It is early in the morning, I didn’t sleep enough and I look a tad delirious as I head to breakfast in the Lido Marketplace on board the Carnival Sunshine. 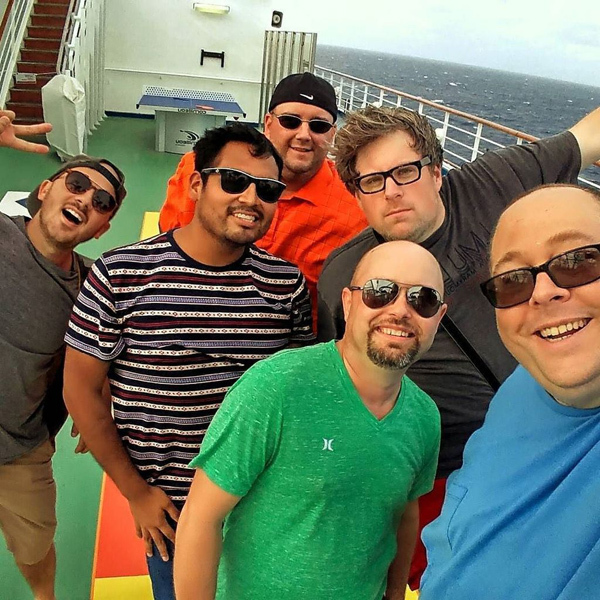 Here’s another post-shuffleboard selfie with the Men Who Blog crew on board the Carnival Sunshine. 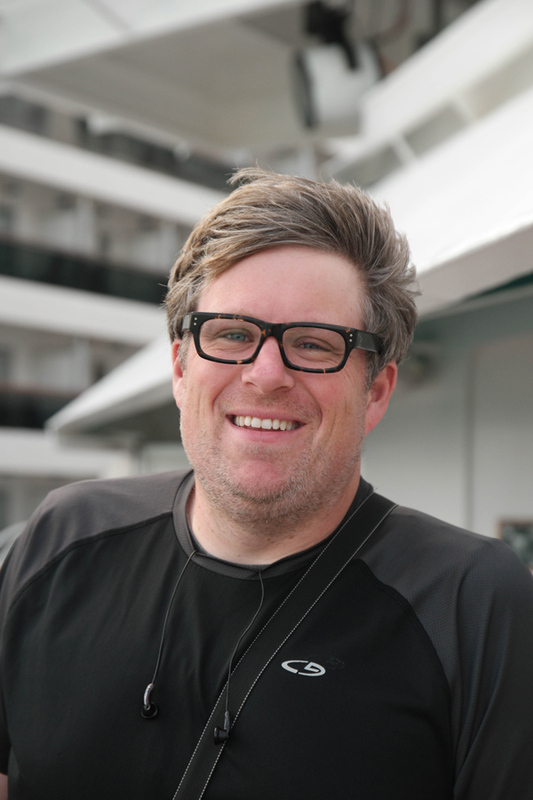 My hair style here is indicative of what it looked like for about 85% of the cruise. And I liked it! This isn’t a photo from some ‘What You’ll Look Like With A Comb-Over’ App! Instead, this is me with a wicked high-seas-hair-part on the Carnival Sunshine. 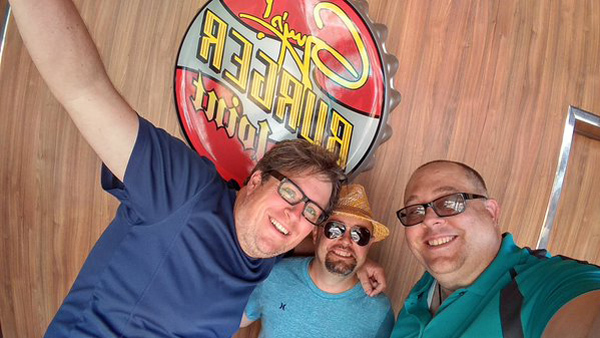 A Guy’s Burger Joint selfie with 2 of the Men Who Blog. We’re protected from the wind here so my hair is about as normal looking as possible on the Carnival Sunshine. The Bear and I before a cruise elegant date night on board the Carnival Sunshine. My hair remained exactly like this all night because I didn’t dare go outside! Finally, here I am at the end of a 5K run around the Carnival Sunshine track. I run in a downpour for the final 1/4 mile. 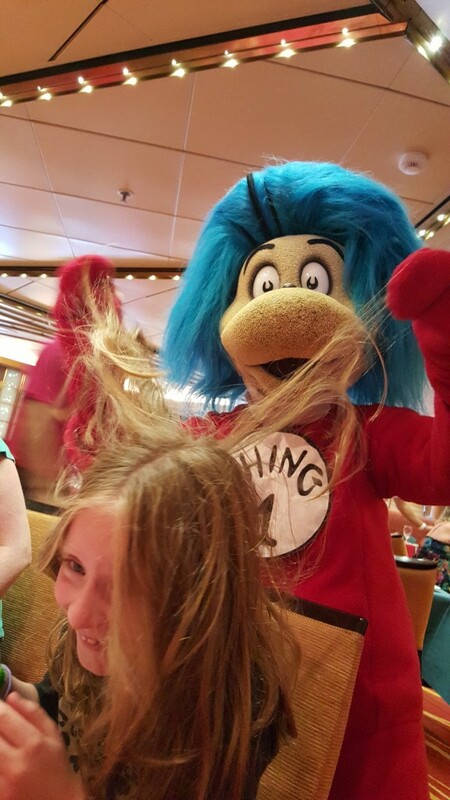 This is what your hair looks like if you’re a silly 8-year-old girl at the Dr. Seuss Green Eggs and Ham breakfast on board the Carnival Sunshine. 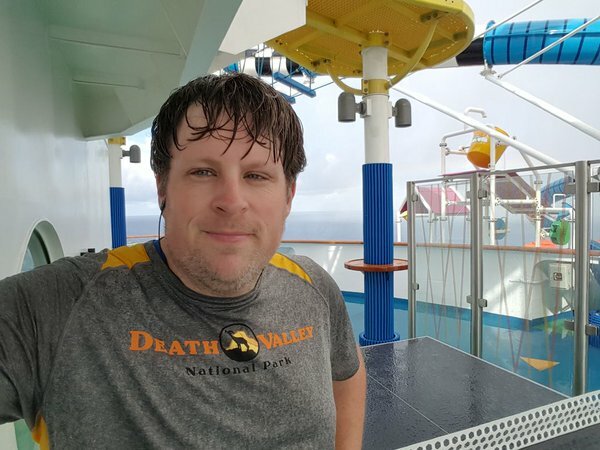 *For more stories about cruising on the Carnival Sunshine, check out the posts by my pals at #MenWhoBlog. 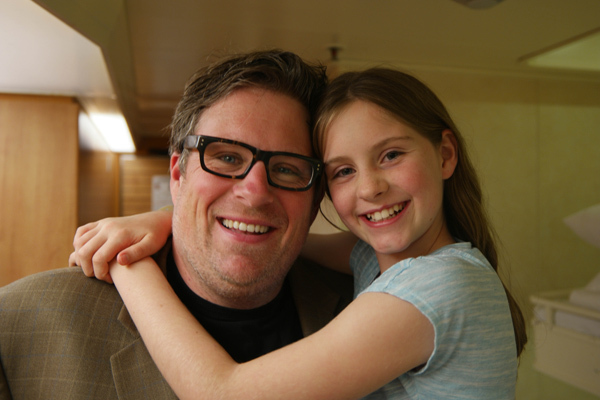 I really enjoyed hanging out with you and your family. One of the advantages of being bald is not having to worry about the wind! Haha! Good point. I’m thankful I did get a haircut before boarding or these photos would have been 300% more ridiculous! Nice looks, you are brave! My favorite is the one with the bear.